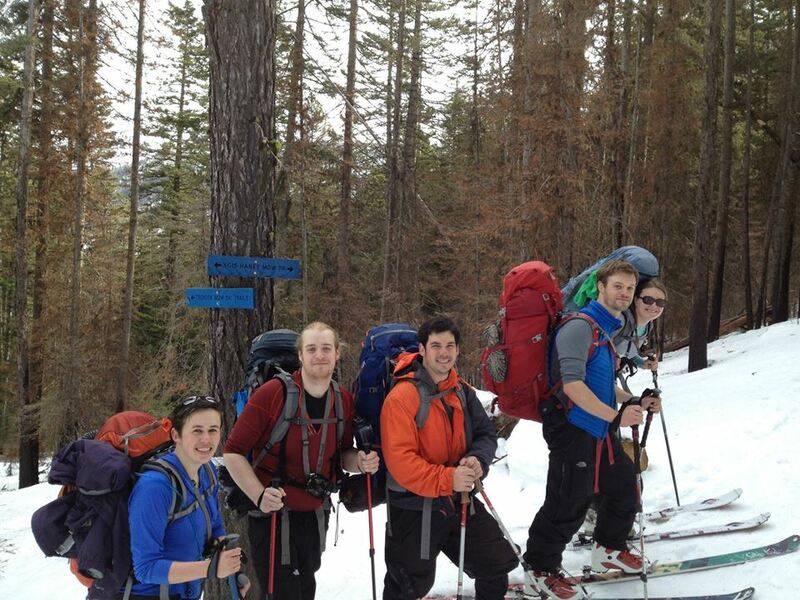 This weekend was one of a lot of firsts for our group; one person’s first time snow-shoeing, three people’s first time snow camping, and Ben and my first time on our backcountry skis with overnight packs. Originally we had planned to do a trip down by Mt. Rainier, but the weather made us change the plans last minute, so we chose a route out by Blewett pass on the east side of the cascades where it was forecasted to be a bit drier (and that proved to be true!!) So we headed out to Haney Meadow, which was not at all like described in the WTA trip report (which was very old.) 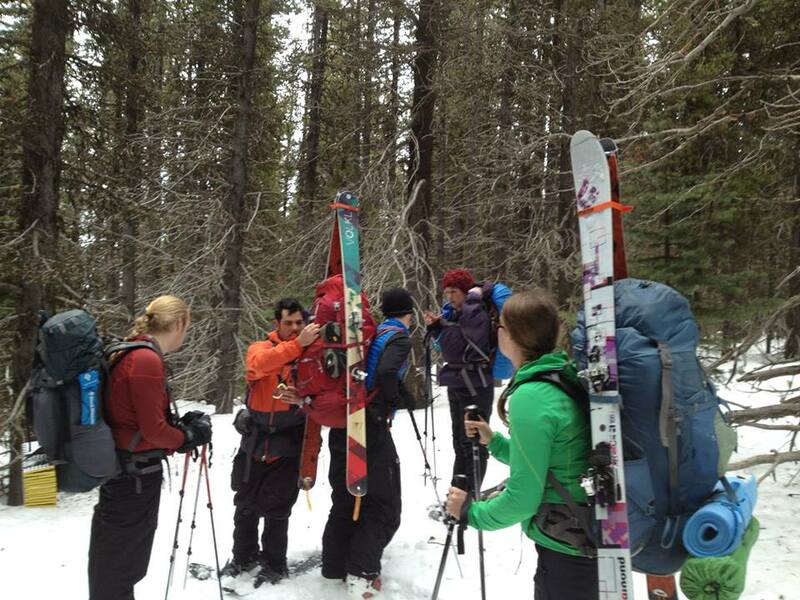 The area is covered with well marked cross country ski trails, so make sure you take a map of the trail system or at least take a snapshot of the trails at the snow-park where the map is posted! We would have saved ourselves a lot of guessing had we done at least the later (though then we would not have been able to test our navigation skills!) Note, the signed Haney Meadow XC Ski trail is an out and back, not sure if you can make it a loop with the XC trail system, I assume you probably can. 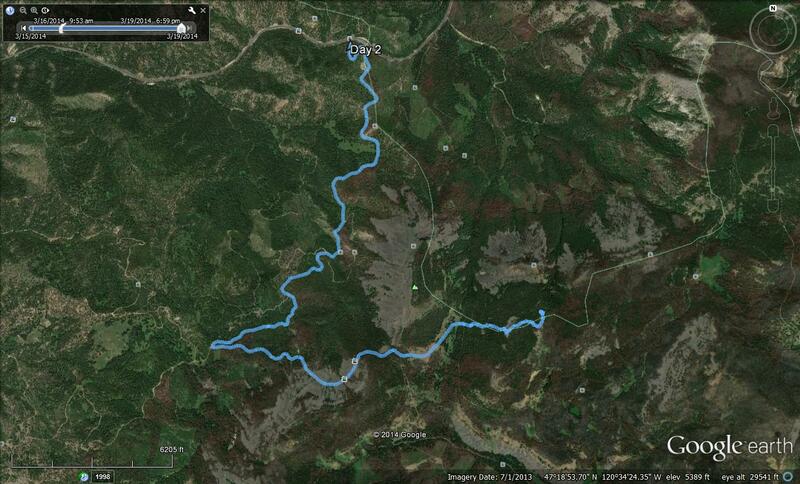 We ended up navigating about half a mile from our campsite to a forest service road to make it a loop. We started out from the Blewett Pass Sno-Park around 10:30am on Forest Service Road 9716, we didn’t find the left turn-off as described in the WTA trip report, the first 0.25 miles there was actually a steep drop-off to the left of the road. A little over a quarter mile in we came across the summer parking lot, about another quarter mile from there (so about half a mile from the snow park) there is a bend in the road and a “no snowmobile” sign. 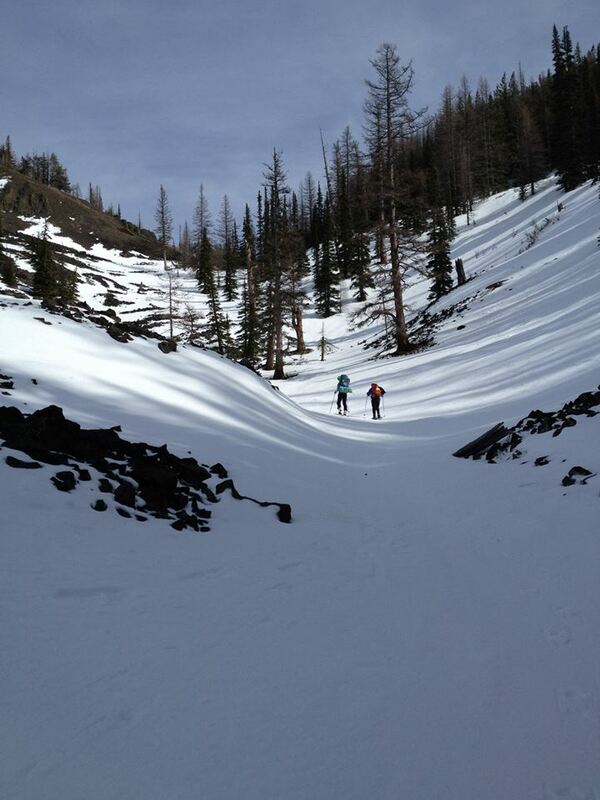 We followed this, and about 100ft from the road there is a Haney Meadow XC ski trail sign. The next several miles were well signed. The trail was beautiful, the first several miles were in the forest, with the occasional meadow, and then we broke out the trees and went up a pass that gave us spectacular views. We lost the well marked blazes less than a quarter mile from the meadow. We ended up in what turned out later not to be the meadow (but close enough). 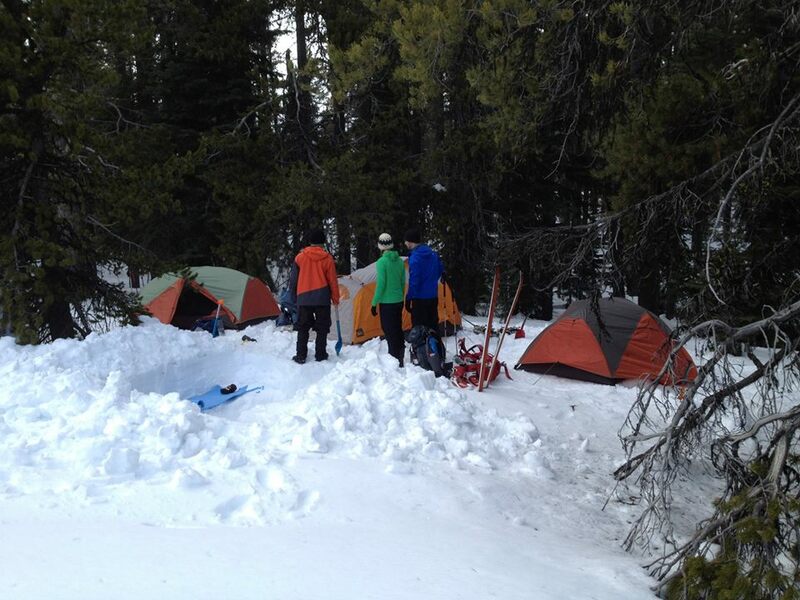 We set about making up camp on the edge of a little clearing. We were able to get a couple of fun turns in on our slightly sloping meadow while we made dinner. 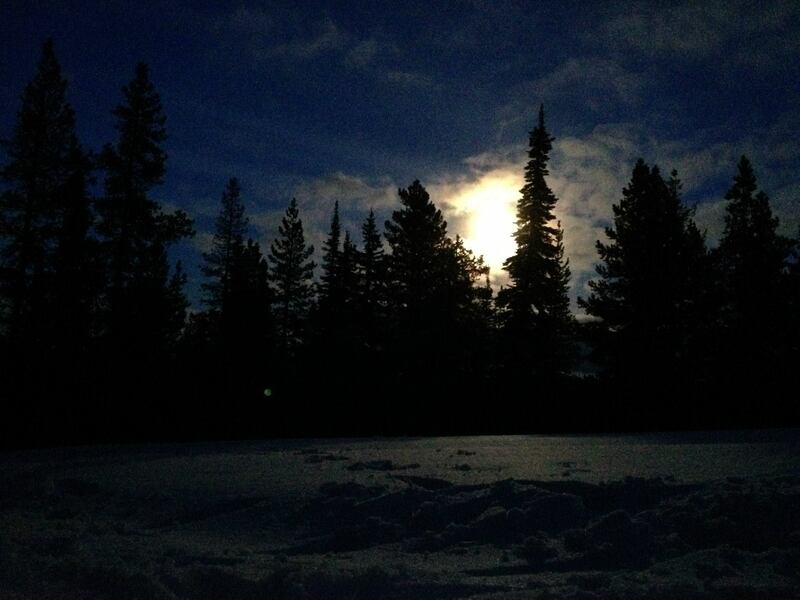 The moon came out and made for some beautiful pictures. The next day we decided we still wanted to make a loop out of this trail. 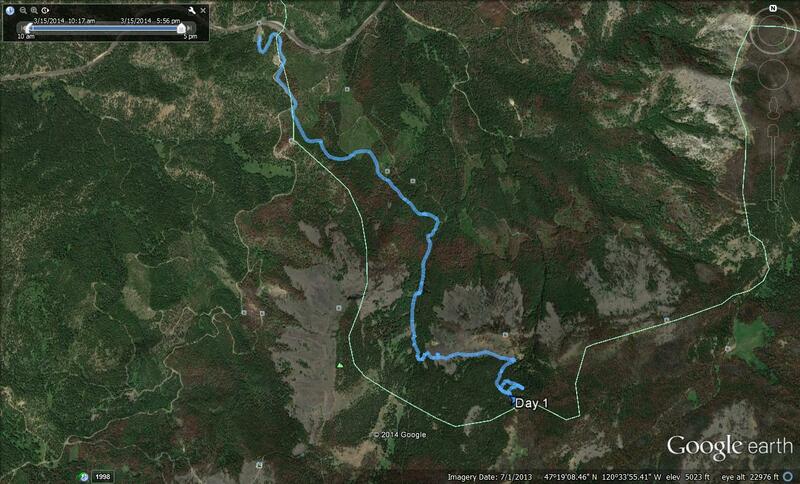 We navigated the 0.6 miles from camp to the forest service roads that we followed out. It was steep through very dense forest, so Ben and I ended up having to take off our skis and boot it down the hill. Ben and I got about 2 good miles of skiing down the forest service road, perfect practice for the first time skiing with a heavy pack on! 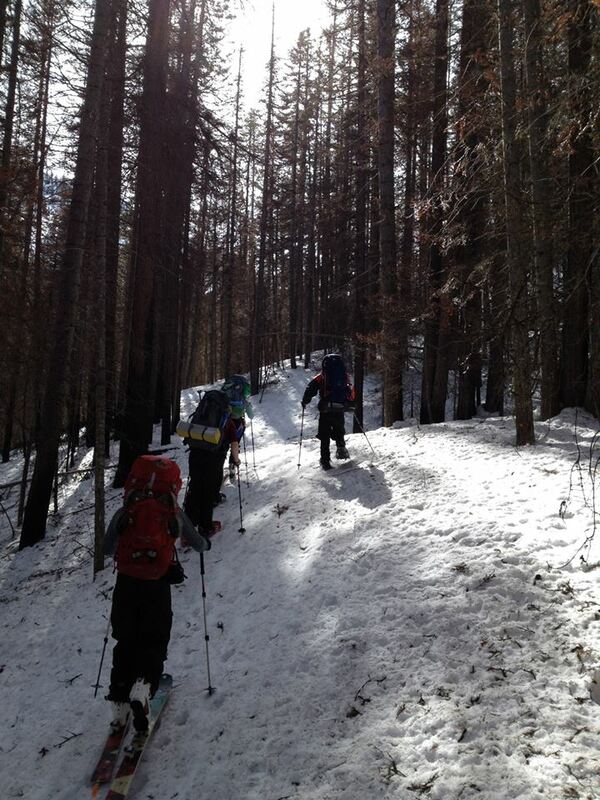 After that the road was fairly flat and we were about as fast as the snowshoers. On the road out we only saw 1 group of 4 snowmobilers, so it wasn’t a bad way to go. 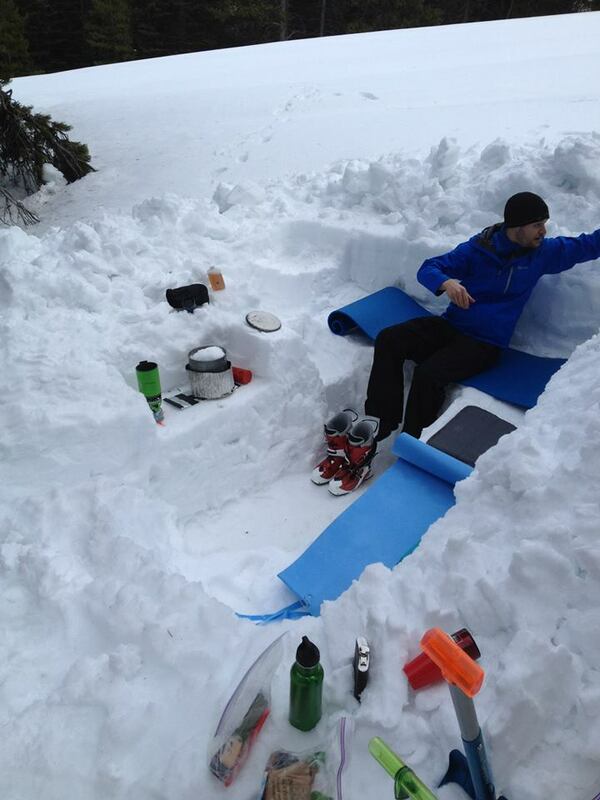 This entry was posted in Ski, Snowshoe by AndreaInSeattle. Bookmark the permalink.